Cupelle is a very rare automobile marque. In the early years of automobile manufacturing, there were companies that specialized in different things. De Dion-Bouton, for example, was a prolific engine builder. And there was another French company, Lacoste et Battmann (of Paris), who built entire cars – for other companies. Lacoste et Battmann built cars but didn’t want the hassle of marketing them, so they delivered them to other companies who badged, marketed, and sold them. Cupelle was one of those makes. Built by Lacoste et Battmann, this Cupelle uses an eight horsepower single-cylinder engine. This example was restored in the 1950s and has been in a museum for a while. 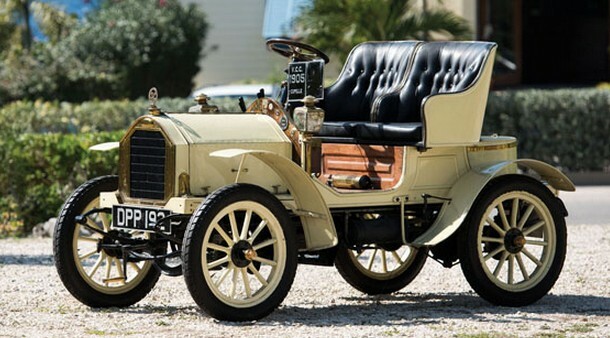 1905 was the only year the Cupelle was manufactured, which makes this car mind-blowingly rare. It is thought that it may be the only one in existence. It can be yours for between $30,000-$40,000. Click here for more info and here for more from this sale. This entry was posted in Uncategorized and tagged 1905, 8hp, auctions, auctions america, cars, classic cars, cupelle, open, touring, two-seater by classiccarweekly. Bookmark the permalink.